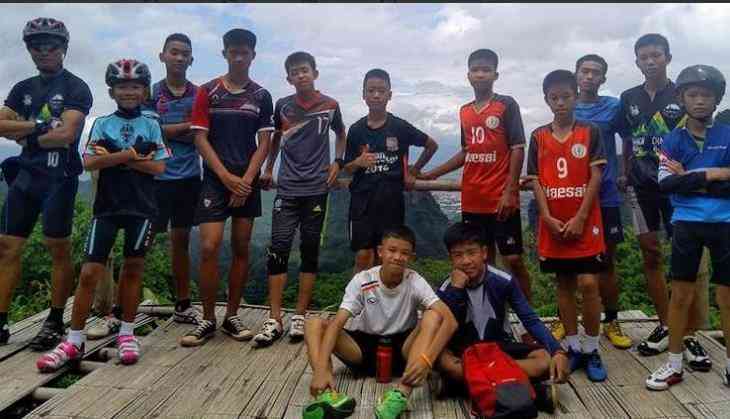 The 12 young soccer players and their coach who was caught in a flooded cave in Thailand were rescued after 10 days and are believed to be in stable condition. However, it isn't certain as to when would they return back home. Later on Monday, they were found sitting on a dry area inside the cave above the flooded area. In a video released by the Thai navy showed the young boys and their coach sitting on a dry area when a rescuer found them. Provincial Governor of Chiang Rai, Narongsak Ostankorn said that they did check up of the boy and found most of them were in stable condition. He said, "We found that most of the boys are in green condition," He also added,"Maybe some of the boys have injuries or light injuries and would be categorized as yellow condition. But no one is in red condition." It isn't certain when the group would manage to leave the cave as flooding could make it dangerous. According to experts, "It is better to supply them where they are for now."